Earlier this year, the APNIC training team extended an invitation to Internet operation engineers in the region to join APNIC’s ‘Community Trainers’ program. APNIC Community Trainers are Internet engineers who have demonstrated significant Internet operational skills and played a mentoring role among their fellow Internet engineers within their local economy and the region. These up-and-coming industry experts from different parts of the region act as voluntary instructors to facilitate knowledge sharing at our regular training events. Their contribution helps address local operational training needs and increases the amount of training available across the region. To give you an understanding of what is involved in becoming a community trainer, we asked two of our Community Trainers, Aftab Siddiqui and Minh Lay, (or Makito as many know him) to share their experiences. I’ve been involved in supporting and facilitating technical workshops and tutorials in the Asia Pacific region for a long time, mostly through the South Asia Network Operator Group (SANOG) meetings. I don’t consider workshops or tutorials as just training events where people come to improve their skills and knowledge. For me, they are also community-building events that allow participants to learn, work, and troubleshoot together. The Internet has changed the world we live in where you can’t survive for long living and working in a silo; it’s a connected world where communities play the most important role. Normally, competitors don’t talk to each other but in these workshops and tutorials, I’ve found they do. By helping each other, participants get a greater sense of the community they are all a part of. You can learn the same technology from online videos and tutorials but the atmosphere you get through face-to-face events is priceless. So when I got an invitation from APNIC to support APNIC training as a voluntary Community Trainer, I didn’t have to think twice. 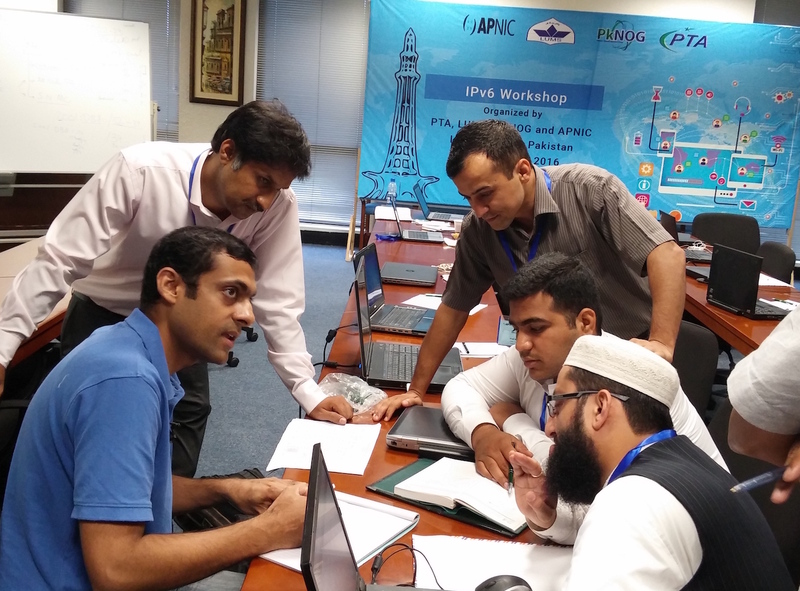 Recently, I facilitated two APNIC IPv6 workshops in my home country, Pakistan, for around 60 budding network engineers from various service providers and telcos. From the feedback I received, participants enjoyed learning the practical side of the technology including how to implement it in their network, and most importantly, how to start and from where. 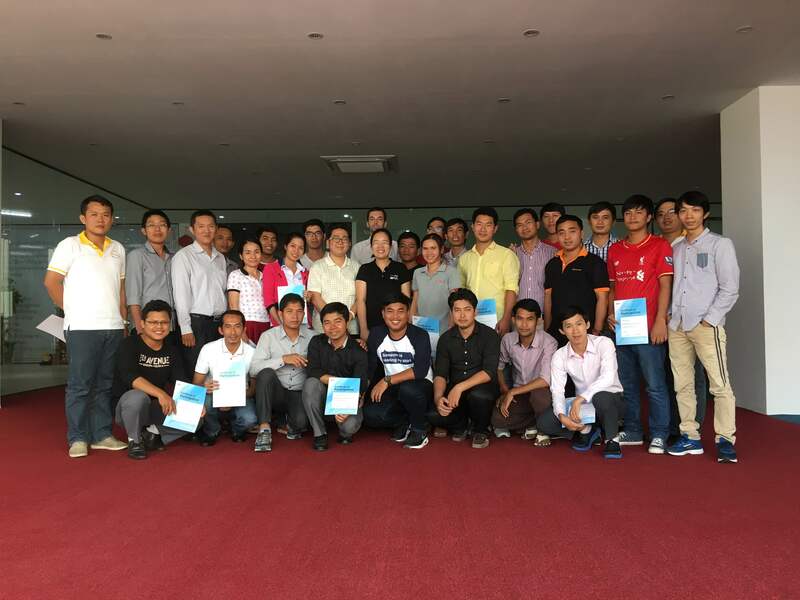 Another useful aspect was that they were able to connect with a local trainer – someone who worked in the same environment and understood the policies, culture and other issues – and learn how to overcome some of them, if not all. Thanks go to LUMS (Lahore University of Management Sciences) in Lahore, and Habib University in Karachi, for providing the venue and doing their part for community building. Also hats-off to the Pakistan Telecom Authority (Pakistan’s telecom regulator) for being the local host and removing the roadblocks so the service provider and telecom sector could be mobilized. In an addition to just focusing on the technology in this particular workshop, we also aimed to inspire participants to become the trainers of the future; the catchphrase we used was Learn – Implement – Contribute. This idea stemmed from the need to galvanize the local community for the upcoming SANOG meeting to be held in Pakistan, in conjunction with the inaugural Pakistan Network Operators Group (PKNOG) meeting, which I encourage everyone to support. No NOG can be successful without the contribution and participation of their local community, and you can’t build a community without such events. Hopefully, these community-building efforts we have made will eventually lead to a strong network engineer community in Pakistan for years to come. I have been working in the telecom industry since 2005, during which I’ve worked for many ISPs, and have been involved with setting up and maintaining their networks. I still do this in my current role at i-BEAM, which is a training centre and SI company in Myanmar. I enjoy sharing my experience and helping the community learn industry best practices and multi-vendor interoperability. There are a lot of courses about what OSPF/BGP/MPLS is, and a lot of certification classes about how to use the GUI/CLI of specific vendor’s equipment. However, there is no single class that instructs you how to put everything together and make it work for years. Nor is there a course that mentions how to deploy a working ISP network with Cisco/Juniper at the core layer and MikroTik at the access layer. This is why I enjoy being a part of the APNIC workshops as they focus on multi-vendor interoperability with a live ISP network topology lab. I also enjoy being able to bring these classes to Cambodia (my home country) and Myanmar (my second home) where there are really not many of these quality workshops (ISP-related topics) in the local language. Running classes in the local languages is really important, as participants are more active and motivated to learn and share their experiences. I hope you are fine. It was really great to meet you at apnic42. The article you wrote here is truly encouraging for newcomers like me those who also wants to put some contribution in developing the idea, knowledge and skill of engineers from their local economy. Respects to Aftab Siddiqui, Lay Minh, and to others for their great voluntary works to develop our knowledge and skill. Thanks to APNIC for encouraging us.